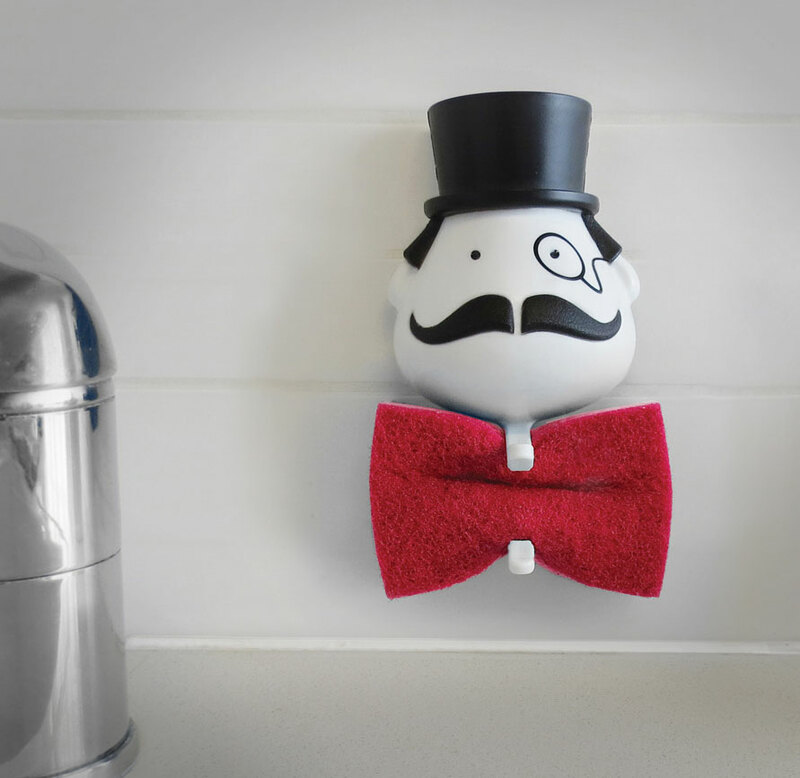 Mr. Sponge is a sponge holder that is a classy gentlemen that resembles the Pringles guy mixed with the Monopoly guy that holds your dirty sponge for you. 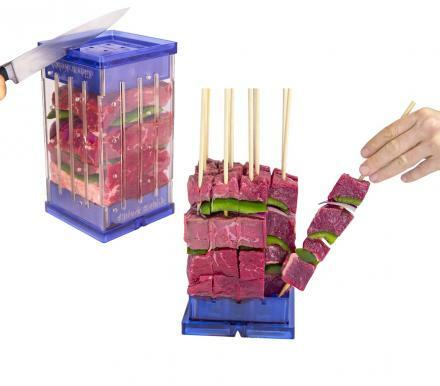 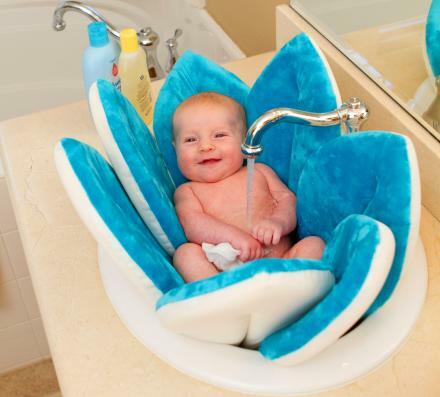 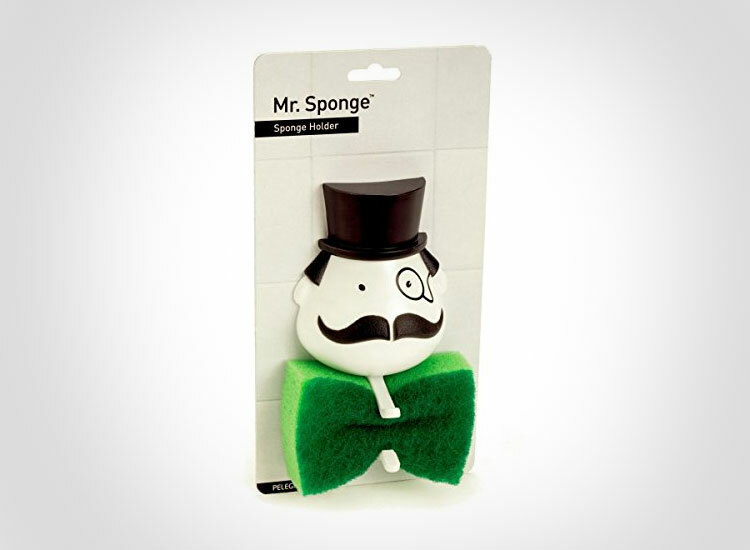 Simply squeeze your sponge into the holder below his face, and he will then have a bow tie made from a filthy sponge. 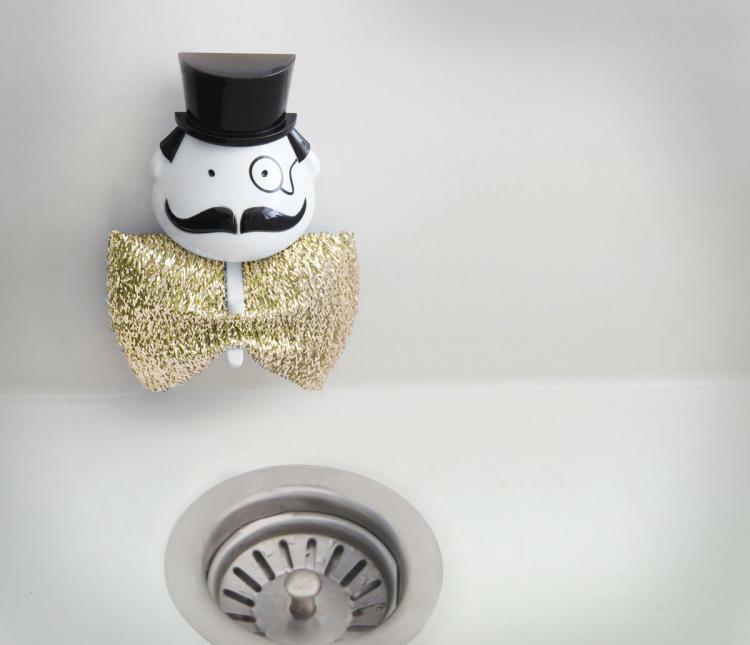 No longer will you need to scrape off the disgusting disease infested strange gooey object that's plastered to your sink anytime you want to wipe the counter or clean a dish, once you're done using your sponge just ring it out, and toss it into Mr. Sponge's clip and you will have a nice dry sponge the next time you want to use it. 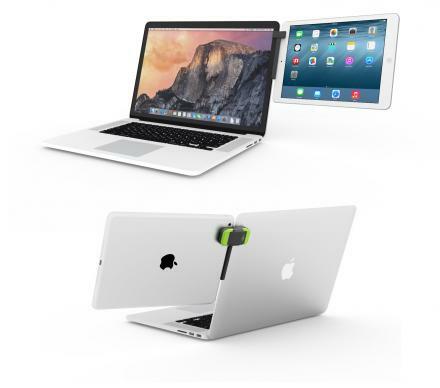 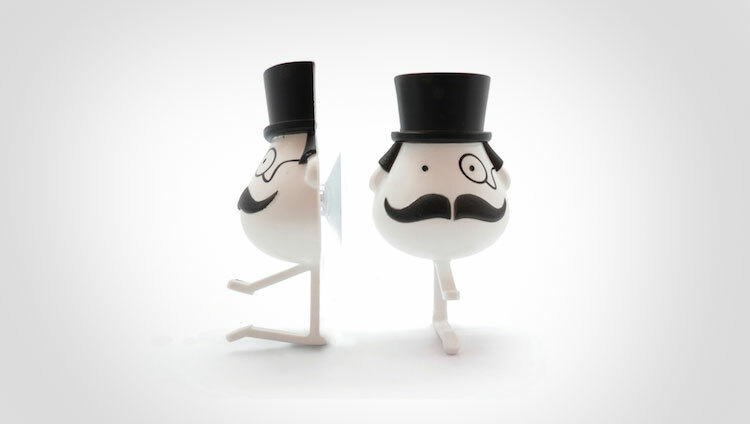 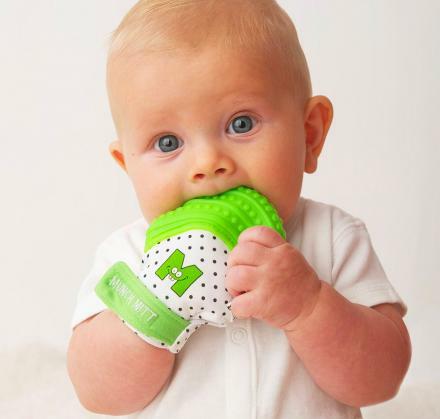 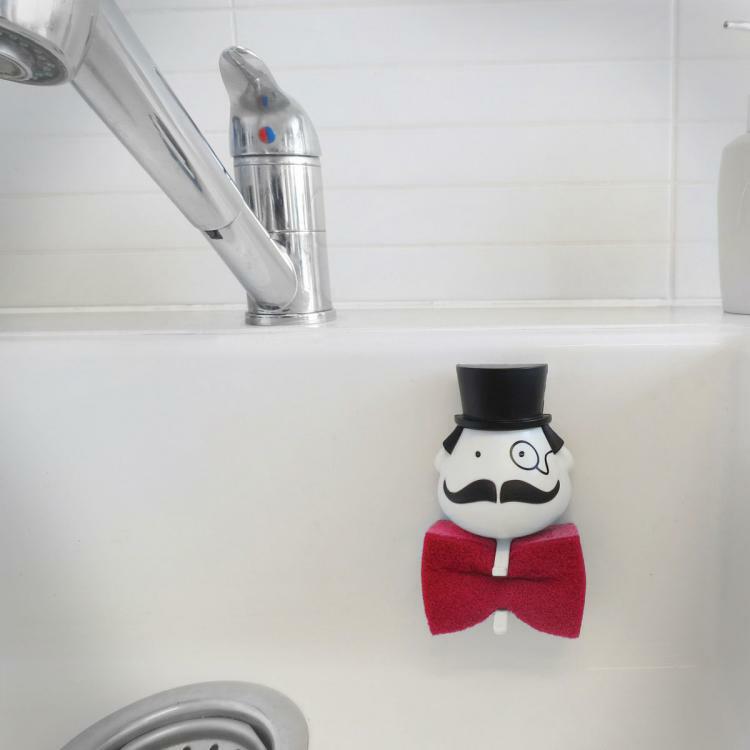 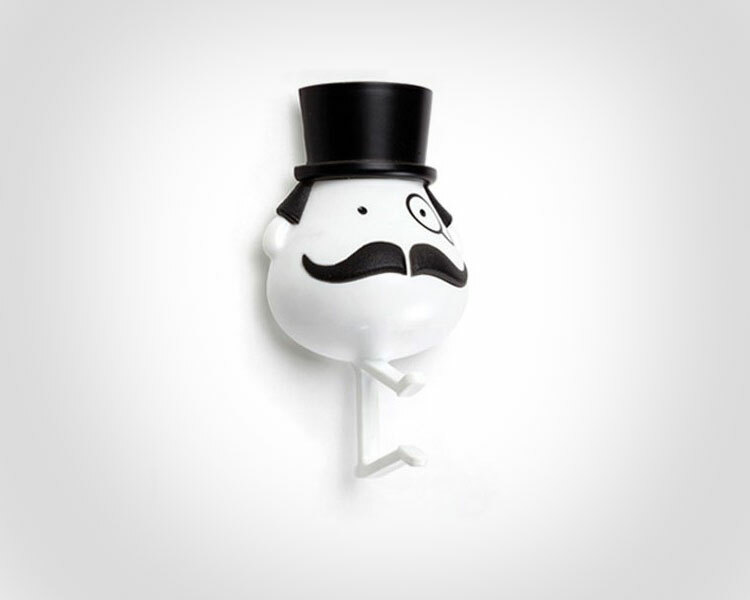 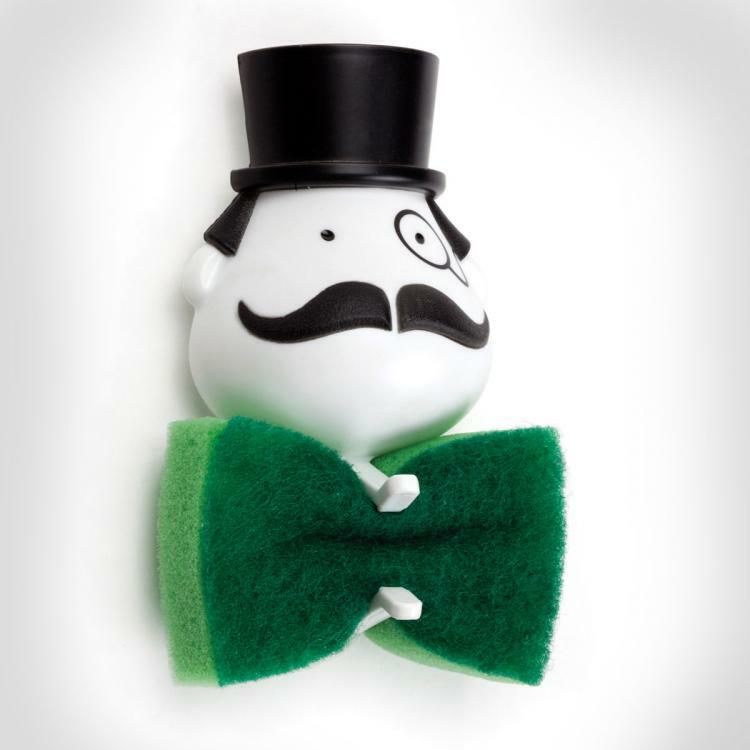 The Mr. Sponge Sponge holder comes fully equipped with a top hat, monocle, and a mustache, is easily attached to your wall using a suction cup, comes with 1 green sponge, and measures 2.75 inches wide x 5.31 inches tall x 2.36 inches deep.